How to Stop Night-Time Meowing and Yowling? Dealing with a cat yowling can be one of the most frustrating things on Planet Earth. If you’re a cat owner, you’ve probably been here before. The long, sleepless nights. The incessant whining and scratching outside the door. Waking up to find something swiping at your face like a psychopath. If you’ve experienced this, something like this, or all of these, you’ve got a midnight terror on your hands. Assuming that you want to start reclaiming your precious sleep, steps must be taken to stop the caterwauling. First off, it’s important to understand the reasons for your cat’s nightly screeching. Knowing what’s causing the problem will allow you to find and apply the best solution. No, your cat isn’t practicing for the world acapella championships. There are several possible reasons why it has suddenly turned to serenading you under the moonlight – take a look below and see if any fit your scenario. We’ve also included resolutions so you can take action once you’ve identified the problem. Senior cats can fall asleep and wake up in pitch black darkness. They would naturally be a bit frightened or disoriented and might cry out loudly to draw their owners’ attention and to reassure themselves that everything is going to be okay. Seniors have poor eyesight and cannot see as well in darkness as younger kitties. Check if there’s enough light in the area. You might have to place a lamp with a soft shade or a nightlight near the elder cat’s bed. If this doesn’t work, you can place its bed in a corner of your room if it seems more calm and relaxed being closer to you. Cats have excellent hearing – and they can easily hear their friends outside from far away. 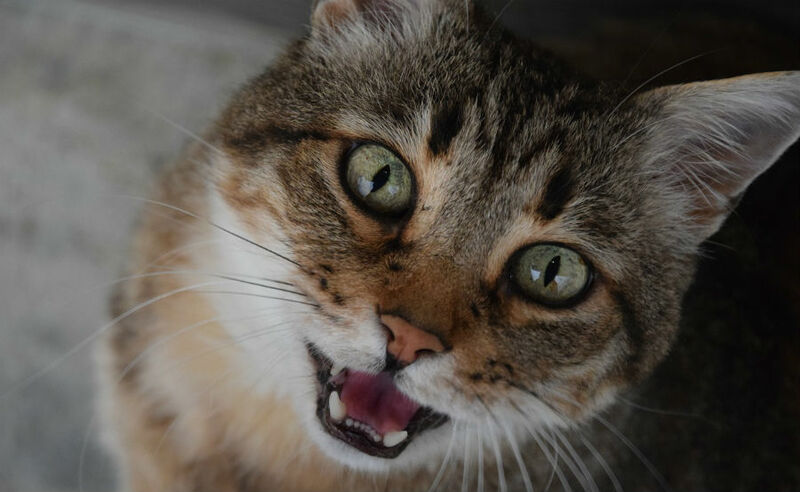 If there are feral cats hollering outside your home or nearby, your cat might also howl back in an attempt to communicate. Your cat might be trying to tell them to shush and that it’s not play time. Or, they could be plotting a way to escape from the house. Either way, stray cats outside are a distraction and you can deal with the problem by drawing the curtains, closing the shutters, and shooing away any critters outside before going to bed. If the problem persists and you’re still unable to get any shuteye as a result, it might be time to have the pound come and pick up the feral cats for good. If your cat seems to be more active at night than usual and is exhibiting such behavior as playing with your bedsheets, walking all over you, or swatting imaginary flies away from your face, it could be trying to wake you up on purpose. The way to solve this one is to try playing with your cat more in the evening before bed. This will give it an opportunity to release any pent-up energy during play and not on you later in the middle of the night. Give it some catnip after it gets tired out and see if it makes your cat any sleepier. Most importantly, teach your cat to live according to your rules and not its own. It must abide by your time, not the other way around. Don’t give it unnecessary attention at night during its yowling session or it may learn that it can do the meowing every time and you’ll always respond. Leave it alone and it’ll eventually stop – this is known as the “extinction burst” in the field of psychology. Cats, along with most other members of the feline family, are crepuscular which means that they’re most active during the twilight hours of dusk and dawn. Due to biological instincts hammered into it from its forefathers, your cat will be active and ready to hunt at around 3 am – 5 am. Since there’s nothing to hunt and your cat has nothing better to do, it might resort to heavy vocalizations just to get attention. Although we can’t change their biological makeup, there are ways to trick cats into changing their “hunt time”. During your evening play sessions before bed, you can use toys to simulate hunting and thereby change their hunting time to dusk instead of dawn. Use toys that mimic the sounds and motion of mice and birds and play with your cat until it gets tired. Don’t get frustrated if you don’t see results right away. It can take a few days of trying before you notice any lasting effects. If your cat isn’t being very active at all during the day, chances are it’ll be quite awake at night. You can counteract this by incorporating activities into its daytime hours to ensure that it uses up plenty of energy. Spacing meals a couple of hours apart will help your cat stay awake longer. Feeding one big meal twice a day usually just makes it sleepy and prone to laziness. You can use a timed feeder consisting details like how much to feed to make sure that your cat only gets a certain amount of food every few hours. It will learn that it has to wait until a specific time for the feeder to drop out treats. You can also incorporate puzzles into the feeding routine which stimulates brain activity and helps keep it more active since it has to work in order to eat. You may have fed your cat too early before you went to sleep and it’s now waking up with a rumbly tummy. The solution? Give your cat’s last meal of the day in two portions. The first can be around 5 pm and the second at around 7 pm. This will ensure that its stomach stays full and minimize chances of waking in the middle of the night. You can also set a timed feeder to dispense a small amount of food at midnight so it has a small snack to grind. One possible reason for your cat’s sudden affinity for noisiness is perhaps a change in its environment. If you’ve recently moved to a new house, moved the cat to a different room, or have another person living with you, it may be unfamiliar with the setup. A window left open can allow light to shine through which might disturb its sleep. There could also be loud noises outside coming from neighbors or other animals. If you live close to the main road, piercing sounds from car engines can startle and frighten cats. Try to identify any external sources that may be influencing your cat’s sleep. If you’ve moved to a new house, it will probably just take some time for it to get used to its new home. Even changes in your or your cat’s schedule can trigger changes in its sleep pattern. Cats don’t like changing their routine and they’re not afraid to be vocal about their concern in the dead of night. Has your work schedule changed or have you started feeding your cat at a different time? If so, that’s probably the reason why it’s complaining to you about it every evening. Carefully observe your cat’s behavior to determine if a possible medical issue could be causing its constant wailing. If it’s just wandering around aimlessly in the middle of the night, consistently howling for no apparent reason, there could be an underlying health problem that’s causing pain or discomfort. If the cat also exhibits the same behavior during the day, there’s a big chance that something’s wrong. 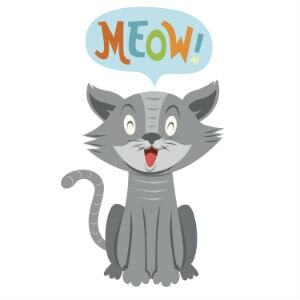 Late-night meowing can be an indication of several common feline health issues such as kidney disease, UTI, hyperthyroidism, arthritis, and high blood pressure. If you suspect that your cat is ill, see a vet immediately and have it checked out. It’s important to rule out any possible medical issues before trying out other methods to stop your cat’s ceaseless night yelping. Adopted cats might not yet feel comfortable in their new home. Young kittens could feel scared in the new environment and older cats may feel lonely and miss their friends back at the shelter. If your cats are newly adopted and are making too much noise, they may be suffering from anxiety. They’ll need extra attention and assurance from you to let them know that you’re nearby and not too far away. You might have to let them sleep with you in the bedroom. They can sleep on your bed next to you or on their own bed on the floor nearby. The above methods for stopping night-time meowing are provided under the assumption that your cat has already been neutered. If it hasn’t yet, get that done ASAP. Neutering can correct a lot of the behavioral issues that aggressive cats exhibit. If your cat doesn’t have problems with other cats, consider getting it a playmate so it has something to do at night. A word of caution – this strategy needs to be used carefully because if the cats end up making a racket, it’ll be double the noise which means double the headache for you! If your cat continues to bother you at night by trying to play, jumping on your stomach or swatting at your toes or fingers, you may have to lock it out of the bedroom. Ignore its pleas to enter and you can discourage it from scratching at the door by placing something in front of it. You can try aluminum foil or double-sided tape – cats won’t risk stepping on these surfaces. Earplugs will be your best friend in this scenario. One final method for you to try if all else fails is the anti-anxiety medicine or antihistamines to help it sleep. Bring your cat to a vet and get information on what type of medicine, how much, and how often to administer it.